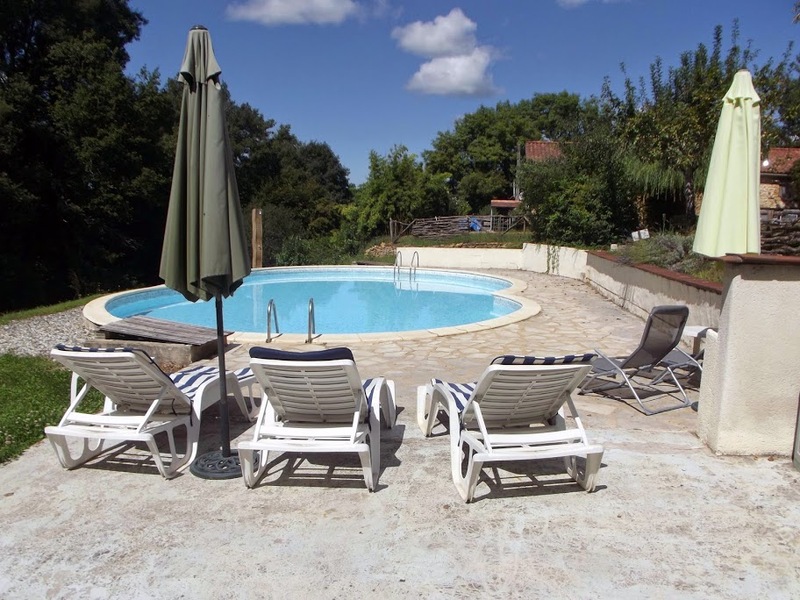 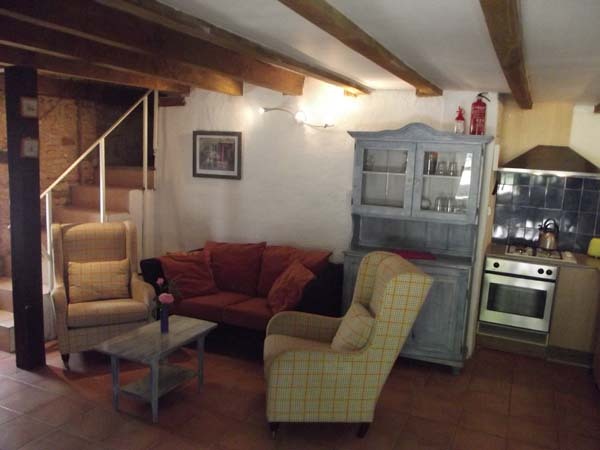 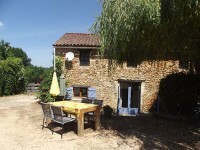 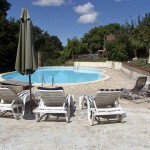 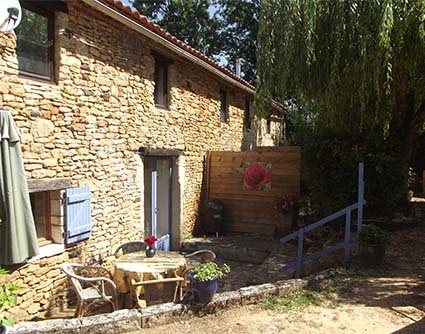 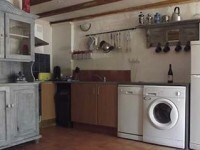 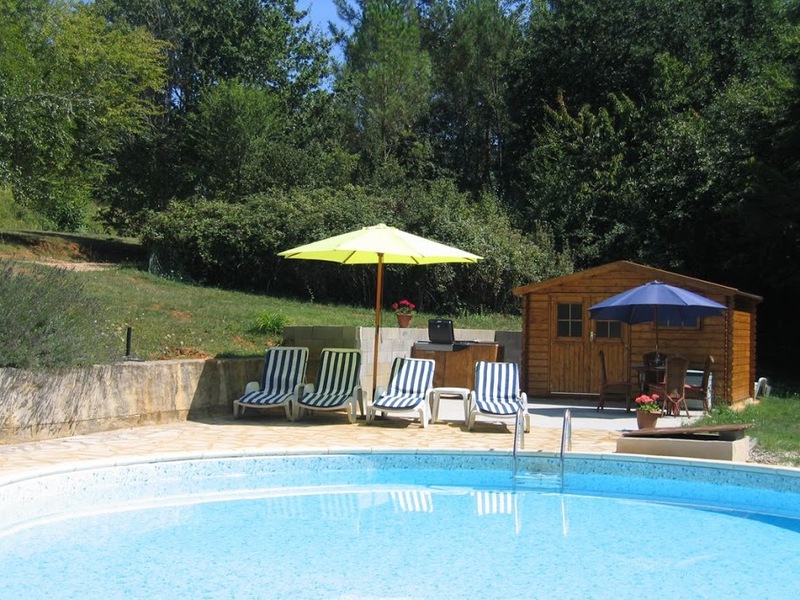 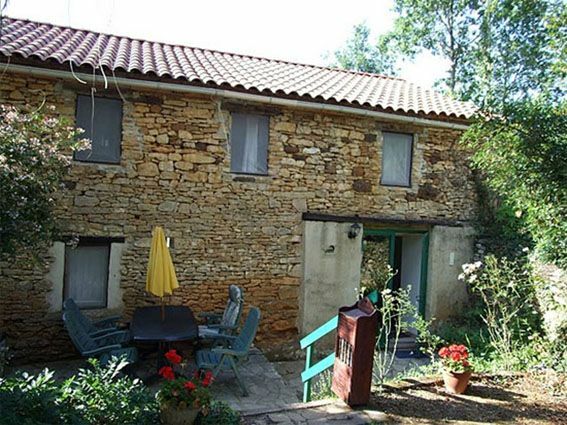 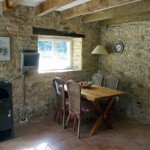 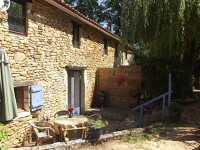 Le Tournesol is the smaller part of the converted barn (sleeps 4) and is on two levels. 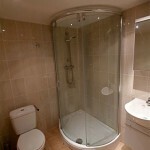 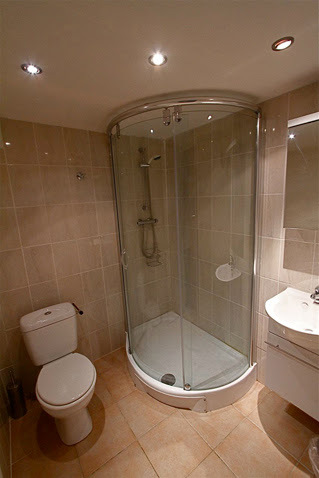 Upstairs, there are two bedrooms and a bathroom, which has a large walk-in shower. 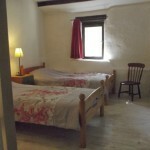 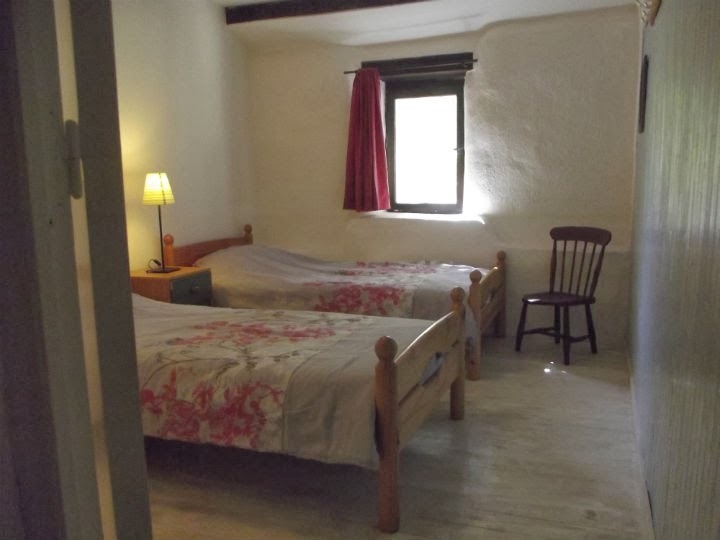 One bedroom has a queen-size double bed and the other has twin beds. 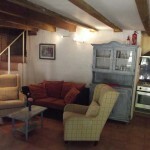 Downstairs, there is a spacious living room with a kitchen/dining area. 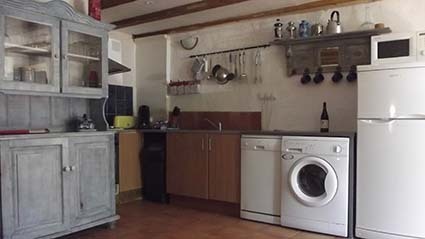 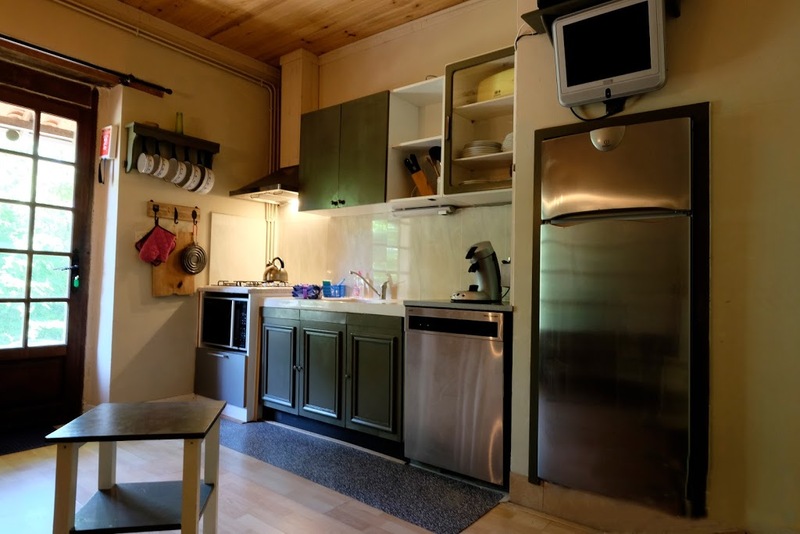 There is a washing machine and a dishwasher. 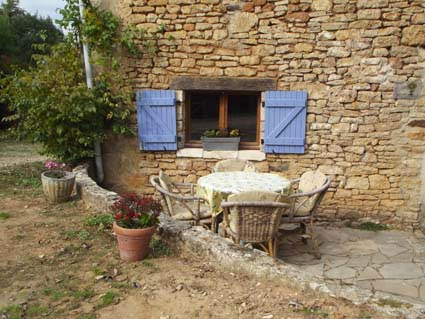 French windows lead to a terrace, on which you will find a barbecue and furniture for open-air dining. 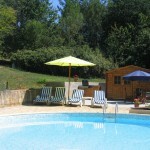 The swimming pool for Le Tournesol can be seen from the terrace where you can sit in the shade of an old willow tree. 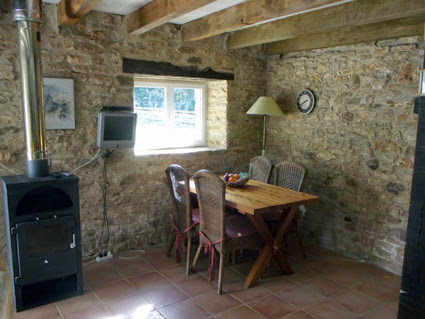 There is a tv, and there is also (free) wireless connection to the internet.